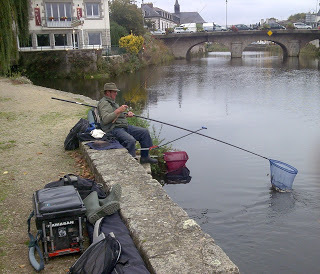 The latest guest blog is from Baz Morgan with loads of great info on fishing in France. If you would like to submit an article, review or catch report please send me an e-mail using the contact form in the sidebar of the blog. Hello. My name is Baz Morgan, I have been a follower of Jamie’s blog for many years. I have no intention of boring you with my mediocre efforts at weekends, but reading Jamie’s blog about someone catching 17lbs of dace inspired me to fish the Isle again after many years and I have really enjoyed both the fishing and the company. Chatting to Jamie I mentioned that because of the time I spend in France either on business or holidays I often get asked for information about the fishing and we agreed it would be good to get some information onto the blog. Let me at once say now I have little interest in specimen carp or silure fishing and can offer nothing on those subjects, also its impossible to cover anything like the whole of France. If what I have discovered helps anyone have a better experience then it will be worthwhile. The first question is almost always about the licences needed, fairly complex but here goes,The French waters are categorised into 1’ere (1st) generally game and predator fishing for which there is a closed season Jan 1st to mid March. There are restrictions on methods allowed. 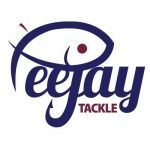 Dry or wet fly, lures, single baits, worm etc. This seems to be well policed and enforced. 2 eme (2nd) categorie. Coarse fish or Blancs, as they are known you can do all the same as 1st category plus ground baiting, loose feeding, feeder fishing etc. These venues seem less well policed although on 2 occasions I have been checked by of all people the Gendarmerie. There is no close season. List and cost of licences. This to be taken as a guideline only. La carte personne majeure 70 euros, Age 18+ As above but restricted to an area usually defined by your licence or accompanying brochure. La carte de peche femme .A licence to promote the sport to women at 32 euros, annual I assume. Transgender!!!!!!!!!! Lets just not go there shall we? La carte de peche Mineure 19 euros 12 —18 year olds annual licence. La carte de peche Decoverte 6 euros up to 12 years old (one rod only). La carte de peche Hebdomadaire. 32 euros valid for 7 consecutive days. La carte de peche Journalaire 12 euros. Basically a day ticket to be used on the day designated and not transferable to another region. This covers the basic system although there are a few other rather complex options unlikely to apply to non residents . There is an unusual system whereby a discount on the licence can be received in exchange for joining working parties on the venues. I once went on one, the weed cutting in the morning was no problem but I don’t think my liver would stand a repeat of what happens after. The situation with private fishing is much the same as here, you need the basic licence as explained then the owners permission, paid or otherwise. I would point out that most towns and villages have their own plan d,eau or lake.Some of these are covered by your existing licence but some you need an extra ticket usually up to 5 euros per day. 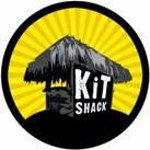 A tip is avoid these venues on weekends or Wednesday afternoons as they are often used for all sorts of watersports and functions. Phew , that’s some pretty boring stuff but better to get a licence , no pleasure in looking over your shoulder all day and I have been checked several times..Licences can be obtained from tackle shops or many bars , look out for Carte de Peche en vente ici. River Blavet (Central Brittany)This 2nd category section of the Blavet joins the canal Nantes a Brest at Gouarec and a few kilometres downstream spills into a huge lake called Guerledan nr the small town of Mur de Bretagne before splitting again at Pontivy and heading southwest to the sea near Hennebont where it becomes tidal. This section of the Blavet/ N/B canal is fairly uniform in depth at about 2.5 m and gradually widening from about 15metres to 30metres as you go downstream. Most of this section is tree lined on one bank and has a towpath on the other. Access is generally good and parking not usually a problem. These access points are however often far apart. 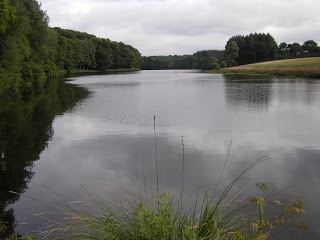 I have fished this stretch many times and favour near Gouarec for the roach fishing and nearer the lake for the bream but obviously both are present all through. I once had a good days winter fishing just below the bridge at Bon Repos catching roach to 11/2 lbs and chub to 3lbs. I have also managed a 100lb of bream from just above the lake. 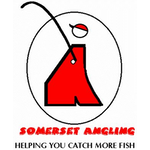 I also recall Stuart (Freddy) Brown of Ilminster telling me that he had a huge bream catch from this stretch. I have had days there when its been slow but more often than not some bream will show. Below the lake the river becomes streamy and shallow for a few miles and access is much more limited .I understand that this area holds a decent head of brown trout but I’ve yet to fish here (one for the future maybe)Further downstream the river widens and slows again and around Nuilliac becomes wider and deeper, this is where I caught my personal best bream of 7lbs 10oz. The roach fishing here is a bit hit and miss but on the right day lovely redfins upto and over a pound in picture postcard surroundings. As we go downstream the Blavet is fairly uniform in width and depth controlled by lock gates . 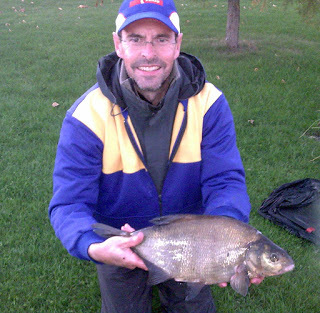 All sections capable of throwing up good weights of bream and roach. Also present are perch , pike zander, rudd, dace, tench, bleak, eels, gudgeon, chub and some big carp.there are also a few black bass and some mullet in the lower reaches. Access is generally excellent with a good towpath, there is nothing like the amount of bikes, joggers, dog walkers etc that we get here but sometimes on a fine weekend there are a few about. Boat traffic also is fairly rare. Bait can be a bit of a problem if you have no fridging, maggot tends to be small and expensive over here. Defi Peche at Ploermel is reasonable but its an hours drive.On the plus side I have caught plenty of roach on hemp and tares and bream on corn and worm, also had a few good days on soft pellet over micros. Gouarec to Hennebont is some 80 kilometres by road so allowing for the twists and turns of a river that’s a lot of fishing. Just as a footnote I would like to mention that I have been involved in running a festival in and around Pontivy This became popular in the 3 years it ran, winners being Martin Kai from Fleet, our very own Steve Kedge and Daniel Le Bourlot from Ploermel. The results and presentation even televised! What ended it ? Would you believe the foot and mouth epidemic.We just could not seem to pull it together again after that. Also the last day of the final festival is probably my worst memory in match fishing , after winning the 1st match and my section in the 2nd I just needed decent points on day 3 and somehow managed to pull out of 2 bream at the net in the space of 10 mins either of which would have won the festival. But at least the Frenchmen in my section learnt some new English swear words.